At our house, we eat salad with dinner almost every night. I like it because I don’t need to cook any veggies, and I can focus on the meat and starch. It’s a great way to use up any odds and ends I have left over, whether it’s tomatoes, sugar snap peas, bell pepper, avocados, strawberries, or blueberries! Throw on some nuts and/or cheese and/or dried fruit and you’ve got a fancy salad, no recipe required. I used to buy fancy dressings to go with these fancy salads. We’d have bottles of ceasar, balsamic, raspberry, honey mustard, and who knows what else getting lost somewhere in the back of the fridge. They’d go bad before we even used half the bottle! Not only that, but most contained seed oils and high fructose corn syrup. In an effort to simplify and cut harmful ingredients out of my life, I started making my own… and there’s really only one dressing I end up using. This recipe is super easy (story of my life), and will keep for a few weeks. All you need is a food processor or blender. The blender is a bit easier; it creates less mess. A plain old whisk will work in a pinch too! Give this a try and you’ll never go back to store-bought salad dressing! Put all ingredients except for the olive oil in the blender and blend the heck out of it for a few minutes. While blending, slowly drizzle in the olive oil. Blend for a few more minutes. 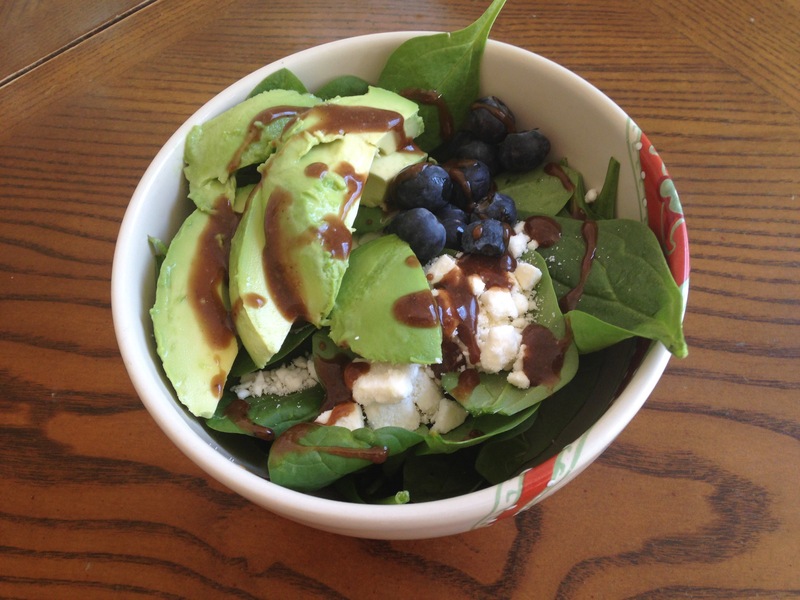 Pour a little or a lot on your salad and dig in!